Product #15556 | SKU LCT240 | 0.0 (no ratings yet) Thanks for your rating! 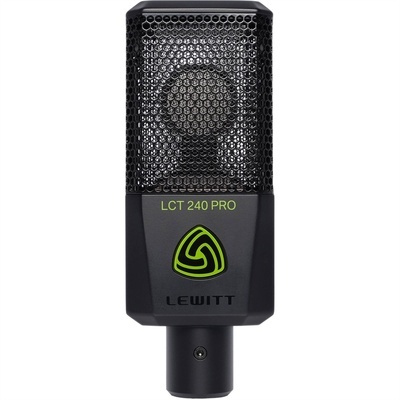 With the Lewitt LCT 240 2/3-inch diaphragm condenser microphone, Lewitt introduces a high precision multi-purpose tool that sets new benchmarks in terms of performance and ease of use. Designed for use in live performances as well as (home) studio recordings, the LCT 240 will leave a lasting impression with users expecting accurate and unaltered tracking of speech, vocals and instruments.